While browsing Facebook we came across this post from our friend SpiderDan and while looking at it, seems like Filipinos really love to cosplay. In the video which is part of Pablo Bairan and Guy Singson's Cosplay Show, we will see how the early days of cosplay in the country looks like. We are sharing this article, video, and post for educational purposes. It is also a way to appreciate cosplay and how the thing we love evolved throughout the years. 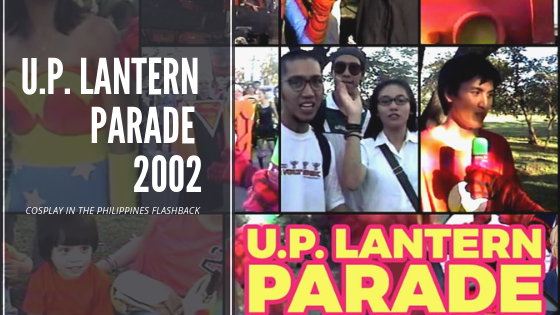 Now here is a video featuring a flashback of cosplay in the Philippines. What do you think guys? That was pretty awesome, right? SpiderDan is perhaps that very few cosplayer who had been cosplaying even before it was called cosplay in the Philippines. Know more about Cosplay in the Philippines in our other articles. Philippine Cosplay History and How it started in the country? Do you want to share your own Cosplay History? Then please message OtakuPlay Facebook page.